If you’re into the 18th-century Italian dish developed in Napoli, then the Rusted Sun Pizzeria might be for you. 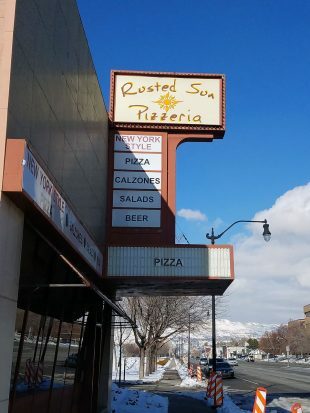 Located at 2010 S. State Street, the Rusted Sun is only a short jaunt from the Salt Lake Community College South City Campus. The menu is affordable for the college kids trying to save a buck. You can get a straight cheese slice for $3.75 any time before 4 p.m. If calzones or salad are more your thing, they average about $9.50. You can easily get out of the Rusted Sun for under $10. Most importantly, the pizza is good. I am a big pizza guy. I love a classic New York slice, and that’s what you find at the Rusted Sun. Nothing is too overpowering in the flavor of a perfect slice of pizza. 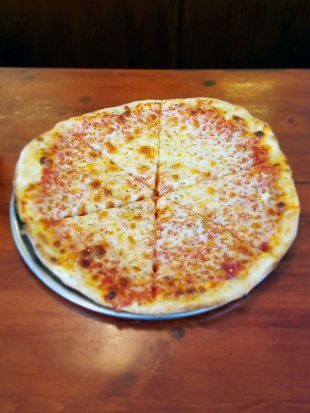 At the Rusted Sun, the cheese is tangy, the sauce is delicious, and the crust is cooked to perfection. It’s a greasy pizza, but that isn’t a bad thing when it comes to a good New York slice. Parking was the only real downside I found during my visit to the Rusted Sun. This pizza joint does not have its own parking. You can park in the Curry in a Hurry lot on the south side of the building, but your best bet is parking along State Street. The service was great. The Rusted Sun is a small, homey establishment with bar seating and an open kitchen. You seat yourself and can watch your pizza being made, which is a nice touch. If you can’t stick around to eat, this pizza parlor also does slices to-go. I thoroughly enjoyed my visit to the Rusted Sun, and would return. Next time, I’ll be ready for the limited parking.